We know that depression can interfere with sleep—it either inhibits those suffering from depression from getting adequate rest or causes others to sleep seemingly nonstop. New research, however, is showing that sleep deprivation itself can be a leading cause of depression. Talk about a Catch-22! While the American Academy of Sleep Medicine recommends that adults get at least seven hours of restful sleep every night, scientists at Binghamton University, State University of New York have found that sleeping less than eight hours a night can make it harder for adults to shift their attention away from negative information they take in during the day. “We found that people in this study have some tendencies to have thoughts get stuck in their heads, said Binghamton University Professor of Psychology Meredith Coles, who led the research project. “While other people may be able to receive negative information and move on, the participants had trouble ignoring it, and these negative thoughts are believed to leave people vulnerable to different types of psychological disorders, such as anxiety or depression, Coles added. 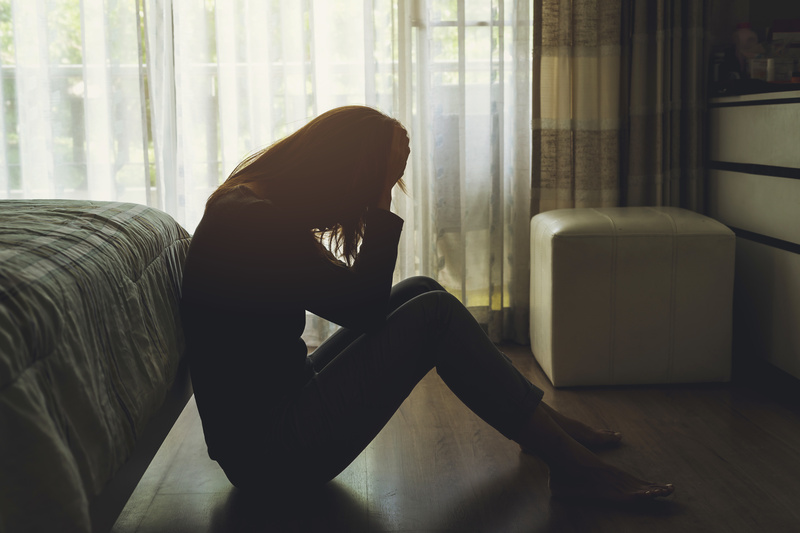 It’s a potentially serious health crisis when you realize that anxiety disorders are the most common mental illness in the U.S. and depression affects more than 16 million adults over age 18, according to the Anxiety and Depression Association of America (ADAA). What’s worse is that sleep disorders, such as obstructive sleep apnea (OSA) make it difficult to get a good night’s sleep. Nearly 10% of Americans—an estimated 22 million—are living with OSA but 80% of those with moderate to severe sleep apnea have not even been diagnosed and treated yet, according to the American Sleep Apnea Association (the International Federation of Sleep puts the number at closer to 90%). While anxiety and depression are complex disorders, caused by many factors including genetics, brain chemistry, personality and life events, the Binghamton University study clearly indicates that lack of sleep, even for short periods, can create an environment that puts one at additional risk for these debilitating conditions. If you are not getting enough sleep, preserving your mental health is one more reason to assess your sleep quality. And if you’re experiencing snoring or periods of interrupted sleep/breathing, see a medical professional. While only a physician can diagnose sleep apnea, you may be surprised to know that dentists and orthodontists are often the first healthcare providers to recognize sleep-disordered breathing conditions. They can work with physicians to treat sleep-related conditions with oral appliances, surgery, and other options. Feeling anxious or blue? Get more sleep! Start by contacting us today for a screening.